During the Civil War, a group of Confederates escapes from the Union POW camp at Fort Bravo but has to contend with the desert, the Mescalero Indians and the pursuing Union troops. During the American Civil War, the Union cavalry at Fort Bravo have to put up with two threats: the Confederate prisoners incarcerated at the Fort and rampaging Mescalero Indians. Captain Roper takes a no nonsense approach to dealing with both groups, to the dismay of his subordinate, Lt. Beecher. He develops a new interest however when the lovely Carla Forester arrives at the post. Unbeknown to anyone, she is there to arrange the escape of Capt. John Marsh, the senior Confederate officer. When she succeeds, it is left to Roper to track them down. Regions are unavailable for this movie. 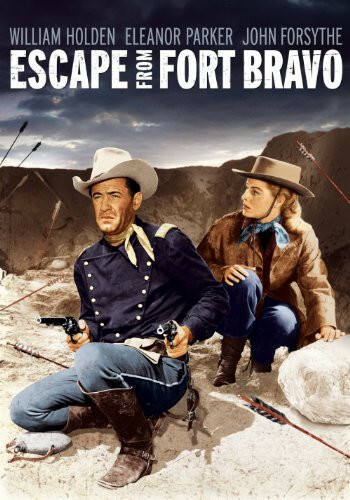 Click the "Watch on Netflix" button to find out if Escape from Fort Bravo is playing in your country.